My Grandpa was born in Minneapolis, Minnesota in 1927. He was a lakers fan long before they were the "LA lakers", but actually when they were in Minneapolis (get it - Minnesota lakes!) Supposedly the story goes that he saw the Rose Parade on TV during one very cold Minneapolis winter and thought "how can it be such nice weather at this time of year?" which lead him to pack up his family & move to Los Angeles. I am grateful for that otherwise my brothers & I may not even be around if he stayed in MN. He had a younger brother who got into acting so I've had a random but cool fact growing up that my great uncle is an actor. He was in the military and became a civil engineer. He was a messy eater (I think I got that from him) and really disorganized (also passed that down, thanks gramps ;) but he was a hard worker and a fighter. Even at 80 years old, he wanted me to teach him how use email. He loved food, family history, and telling us stories. I'll miss our weekly visits with him and the big smile on his face when he saw us. But I know I'll see that smile again, over pies and cakes and ice cream in the presence of the One who loves us & extends amazing grace. I was going to get back to blogging this week but I hope you don't mind if I take another couple days. Thanks for letting me share a little about my gramps with you, dear friends. So sorry for your loss. Reading this, I was thinking of my own Gramps. (& yes, I called him Gramps.) He passed away at 83 years old in 2004. He was also a diabetic and had had multiple strokes over a 30 year period. I also sat vigil at his bedside. Odd similarities, no? I'm so sorry for your loss. I know how it feels to lose a grandpa, I lost both within 2 years. One of an aneurysm we knew about but he didn't want to be hospitalized and be in the recovery process and the other of a massive heart attack. And you're right, death is a weird thing. I'll pray for you and your family. Stay strong. Stupid iPad autocorrect. U meant to say "death us the most..."
So sorry for your loss. I'm glad you got to know your grandpa, he sounds great! Praying for you and your family. Very sorry for your loss. Even though death is part of life, I still wish we could keep the people we love with us forever. I was also blessed to spend the last moments of my grandma's life with her, and I know what you mean....there are moments that will stay with me forever. Sorry to hear about your Grandpa. Take care, my thoughts are with you. I just want you to know I love this line, "Fortunately my grandpa was a believer of Jesus so for us, death is not permanent. Death is not a curse or something to be sad about." For some reason I'm afraid of death. I'm afraid of dying or someone I know dying. At some points to consumes me. But what you wrote gives me hope. I am a believer, currently distant from God, but a believer and this was a great reminder. Danni, he sound like such an awesome guy. I wish I could've known my grandfathers, and it's so great you were so close with yours. He is totally in a better place now, and I know you will see him again someday! danni, i am so sorry for your loss. a family member passing is just so hard to bear, but it is beautiful to know they are safe and happy and that their life was good. sending you hugs! thinking of you and your family - i lost my other grandpa in april and was able to spend some time with him about a week before he died so i thank my lucky stars i did. I am so sorry for your loss. I lost my grandpa recently and I miss him so much, but it's a relief knowing he is now over his health issues. I was looking at your picture of him holding you as a little girl and was wondering if it WAS the actor I've seen so many places before. He looks just the same as his brother. What handsome gentlemen. So very sorry for your loss, and so very happy for the hope we have. My grandma passed away just a few years ago, and it's still so strange to think that she's gone. The good news is, we're pretty sure that she's on the coffee and cookies committee up in heaven, so there was certainly a grand welcome for your grandpa! I'm so sorry for the loss of your Grandpa. I can vision him through your words and smile at your grandpa stories. So glad you had lots loving moments of him. Lots of love & prayers for your beloved Grandpa and your family at this time. He sounds like he was an amazing man. I pray your family is comforted and strengthened in this time knowing that you will indeed see him again in his new body :) and his forever home. Peace and comfort to you friend in this time of remembering. I am sorry for your loss! He sounds like a great grandpa. Those are some great photos! I'm very sorry for your loss. I hope time and the wonderful memories you have can help heal your heart. Sorry to hear about your grandfather. His story/background was interesting to hear about! Really sorry to hear your grandpa has passed away. I hope the beautiful memories of him will stay with you forever and bring a smile to your face. Take care! such sweet memories to read! what a reunion that will be of our loved ones when we are reunite with them. it's one i look forward to as well with many of my relatives. i love how you express your faith while writing your sweet memories of your gramps. I am sorry for your loss. You are very lucky to have spent time with your grandpa unlike me. My thoughts and prayers are with you and your family. I was also fortunate enough to be present for my grandfather's last moments. Even though death is difficult and sorrowful, it is good to know that we have an everlasting hope. You and your family will be in my prayers. He sounds like the coolest and most wonderful man ever. I loved hearing about him. I loved that you taught him how to use email. Amazing! I'm so sorry for your loss but I'm happy that you got to know such a wonderful man! Your grandpa sounded amazing and has left you with such great memories! I'm so sorry for your loss ... thanks for sharing your Grandpa's story with us! I am so sorry to hear of your loss. He sounds like he was a really special person and I am certain that you will indeed see him again! I was with my grandmother when she passed away. Being with her when we passed away is something that I will never forget. I think what was strange to me at the time was just how normal it all felt. It wasn't scary, but very peaceful and we really felt like she knew we were all there with her. It still makes me cry thinking about it, though. I still miss her. So sorry about your loss. The photos show a man full of life, one who loved being around his family. Carry those special memories with you. Kudos to him for learning e-mail at 80 years old-you should be very proud of him! Lovely post. He sounds like such a blessing. All the best to you, enjoy your family as you all celebrate + remember. My deepest condolences for your grandpa's passing. He's dwelling in heaven sharing super tastey sweets with the Lord! I'm thankful that you have been courageous in sharing your heart with us. The passing of a loved one is so intimate and private, but putting it on your blog will really help some of us look towards being grateful and celebratory of our loved ones. Thank you for having so much heart! My prayers are with you and your family. awww so sorry for your loss danni. please take all the time you need. it sounds like he was a great man and lived a fulfilling life!! I am glad you have so many stories about your grandfather and so many memories together. Your tribute to him was very sweet and touching. I'm sure he's up there smiling down and waiting to share some sugary sweets with you one day. He sounds like a great man. I was with my father-in-law when he past and so where his children and some grandchildren and it was sad but beautiful and the same time. To know he will be in heaven and no more suffering and someday we will see him again. So sorry to hear of your loss. I appreciated reading about your grandfather. I know he will be missed. I will keep him and you and your family in my prayers. such a great post. sounds like he had an amazing and rich life. he had many people love him and loved many people back. doesn't get better than that. thank you for sharing. I'm very sorry for your loss. He sounded like a great man. My thoughts are with you and your family. So sorry for the loss of your Grandpa, he sounds like an amazing person. I live in the Minneapolis area and it was fun to hear of your Grandpa's connection to my home state. May the memories of him bring you many blessings! God bless you. oh danni i'm so sorry for your loss - thinking of you and sending hugs your way! Sending out a prayer for your family, Danni. Glad you could be with him at the end, and know that he's resting in eternity now. So sorry for your loss.... what a lovely tribute you've paid to him here! I'm very happy that you have the assurance of knowing that you will spend eternity with your grandfather! I'm terribly sorry for your loss. :( I am glad that you were able to be there with him though. Your photos are precious, he looks like he was a wonderful man and well loved. 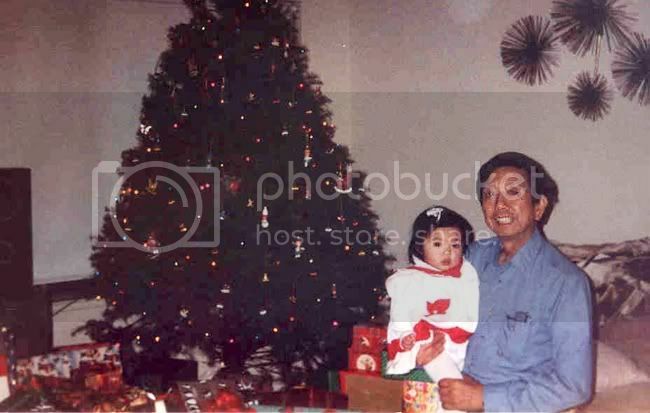 My grandfather passed when I was young, I wish we would have had more time with him. He sounds like a wonderful grandfather! I'm sorry to hear about your loss. so sorry to read this. :( i'm tearing up. so sad. I'm sorry for your loss. 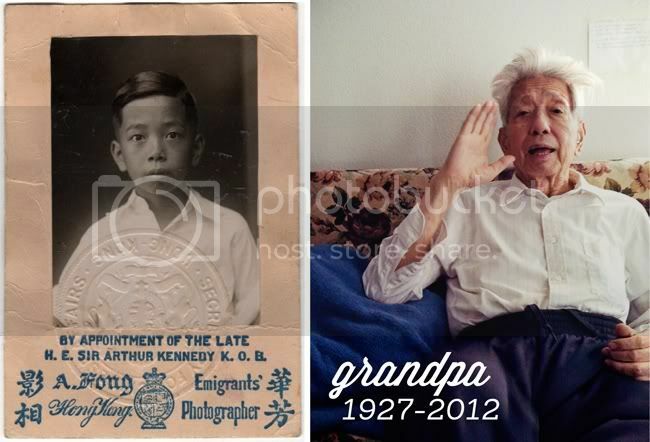 My grandfather passed away when I was ten. I'm still hearing nice things about him from my grandmother and my family occasionally. After reading this it reminded me of when my dad passed away a few years back. He had cancer and when we found out it was a short 8 months later when he passed. It is a sad thing knowing someone is dying, but knowing you can say goodbye does help in some ways. Thank you for sharing bits about him. It is good to remember our loved ones lives. I'm sorry to hear about your loss. I hope you and your family will find strength in each other. all the best in this difficult time. Memories from my own gramps flooded suddenly when I read this. Their truly amazing gramps and one of our most admired people. Stay strong. Danni, what a sweet remembrance. So touching and sincere... Thank you for sharing. My prayers and thoughts go out to your family. So sorry for your loss, I lost my Grandpa long ago (I was 17) and I still miss him. Hope of heaven is a lovely treasured hope.I pray blessings on your family at this time. I'm so sorry for your loss. My grandfather passed away three years ago. Just like yours was to you, he was the only one that i knew, the other one passed away before i was born. It is srtange not seeing them in your daily life anymore,or hearing their voices. From time to time, you'll feel them all around you. That's the love they are still pouring out for you. Learn to embrace that. I hope that God's peace will embrace you. what a wonderful post in honor of your grandfather. he is smiling down on you from above. peace and prayers to you and your family. Sorry for your loss, what a cute man, and it looks like he had a wonderful life! So sorry for your loss. I just came home from my grandmother's funeral and am dealing with many of the same emotions. I feel sad for those of us left behind, but my Grandma was super-Catholic and I know that she's been rewarded for her life of duty. I'm so sorry for your loss. It is wonderful to reflect on all the love you had for him. He sounds like a wonderful man. What a lovely remembrance of your Grandpa. I am so sorry for your family's loss, but glad to know you have such wonderful memories to keep him alive in your thoughts. I also only knew one of my grandfathers, Poppy, and though he had Alzheimer's for a large part of my childhood I still have wonderful memories of his humor, and love, and caring. Thanks for sharing this with us! So wonderful he was well loved in this world and a blessing that you will see him again! My grandpa also is diabetic and sure can be sneaky trying to get to sugar!